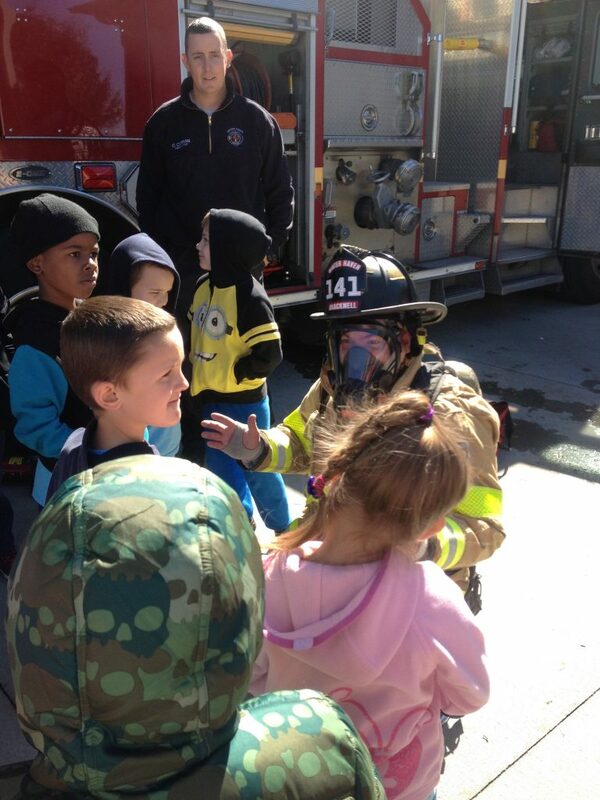 One of the most important jobs in the fire department is educating our young and old alike on the importance of Fire and Life Safety. This includes but is not limited to child public education and awareness, smoke detectors, fire extinguishers, Automated External Defibrillators (AED), child safety seats, bicycle safety and 911 education. 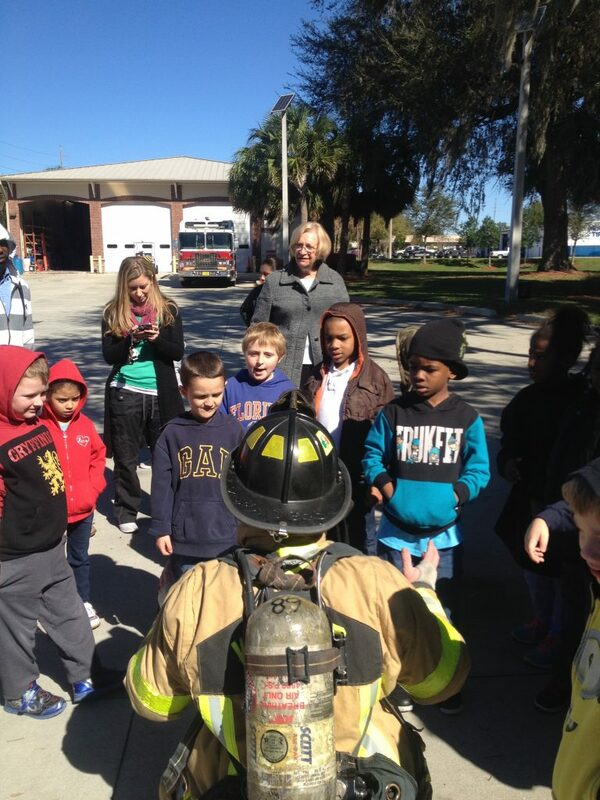 Education Station Tours: The Winter Haven Fire Department provides fire department station tours to schools, after school programs, summer camp programs, church groups and the like for a fun learning environment focusing on the importance of fire safety while showcasing the station and apparatus. 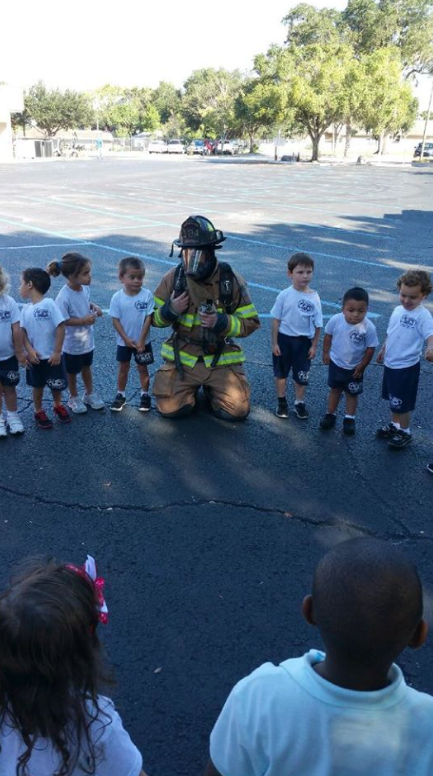 Education at Schools: When requested the department will send an engine to a school for fire safety lessons. This includes a tour of the engine and to meet the members of the department. This is mostly occurs in October during fire prevention month but can also be requested at other times. 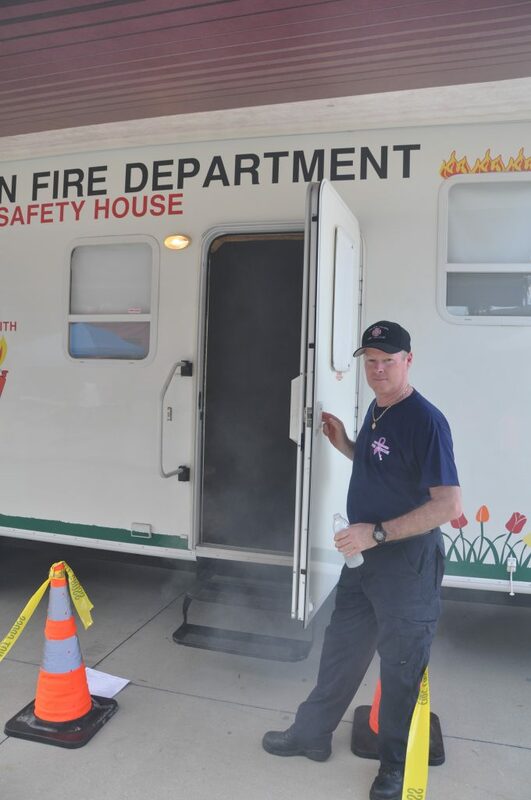 Fire Safety House: The fire safety house is a custom educational tool used to teach children the importance of fire and hazardous weather safety. Simulating life like conditions using multi-media, puppets and simulators making a fun learning environment for all. 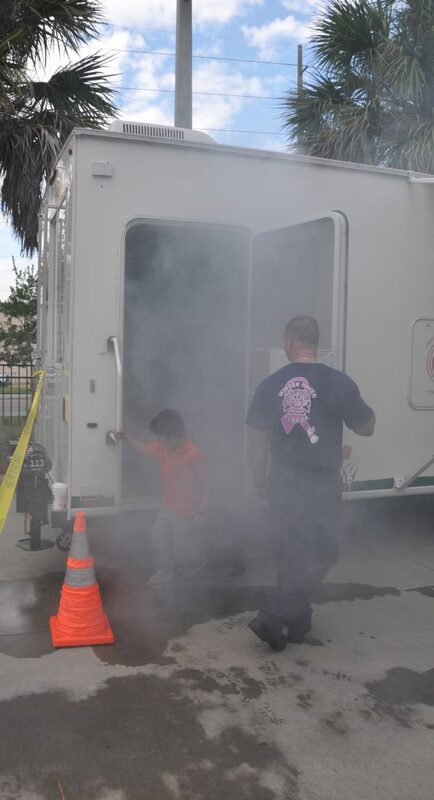 Children under safe conditions (pictured below) learn how to crawl out and stay low for escape in a simulated house fire. These hands on learning tools are very productive in teaching our most valuable citizens the importance in life safety. 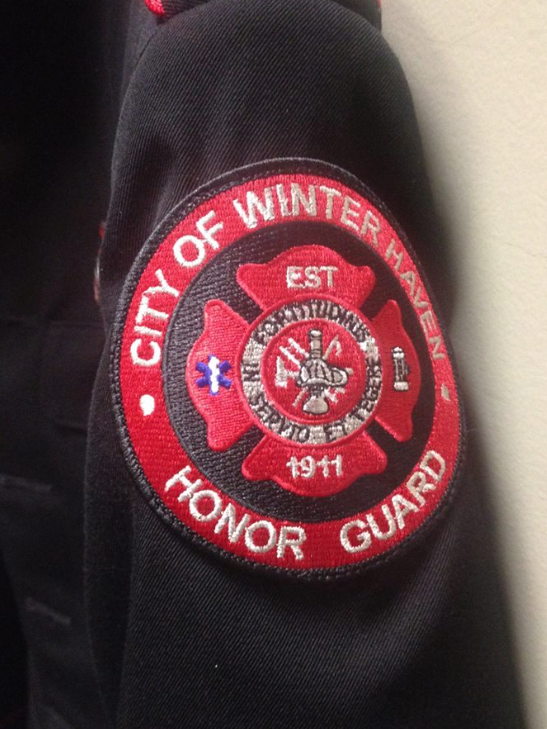 When it comes to pride and tradition of a fire department nothing can symbolize that more than a departments honor guard. 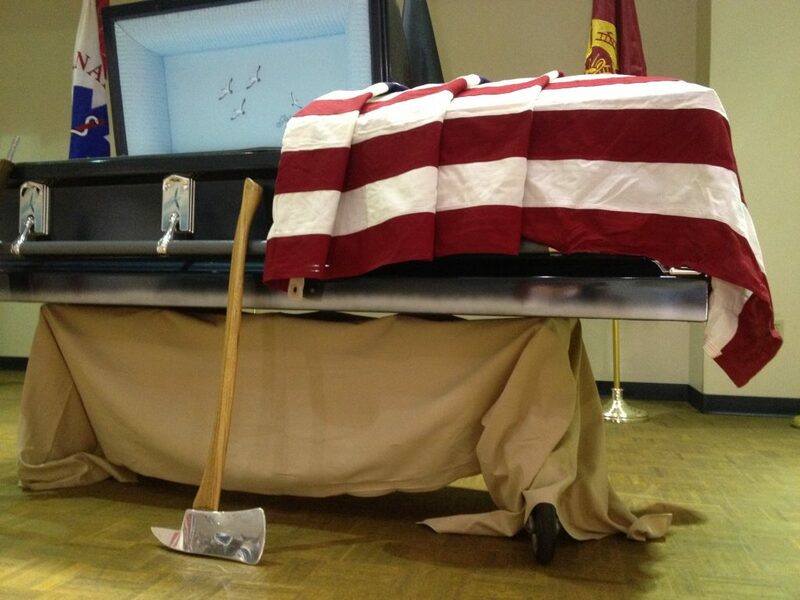 Honor Guards are a silent reminder for those that have fallen and those we celebrate in accomplishment. Representing the department as a whole for dedicated devotion to protecting those in need during unforeseen circumstance, their families and the citizens that the department protects and serves. 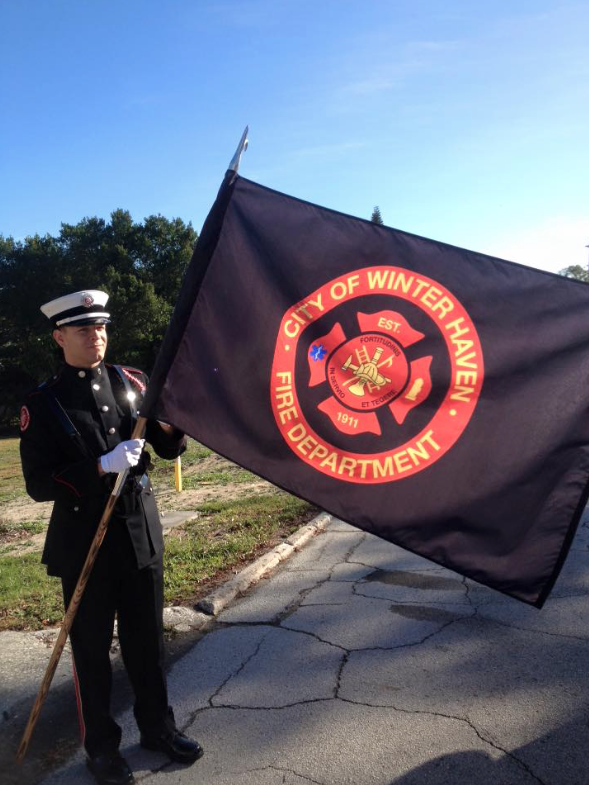 Funerals for retired fire department personnel and to support their family members. 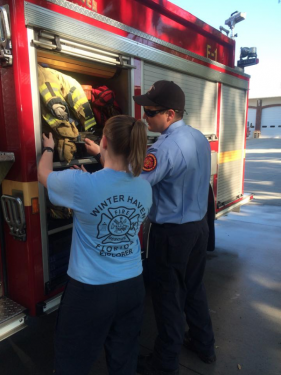 The Winter Haven Fire Department currently has nine Child Passenger Safety Technicians. All technicians have recently completed The National Child Passenger Safety Certification Training Program (CPS Certification Program). CPS Technicians and Instructors put their knowledge to work by conducting child safety seat checks, where parents and caregivers receive hands-on assistance for proper use of child restraint systems and safety belts. 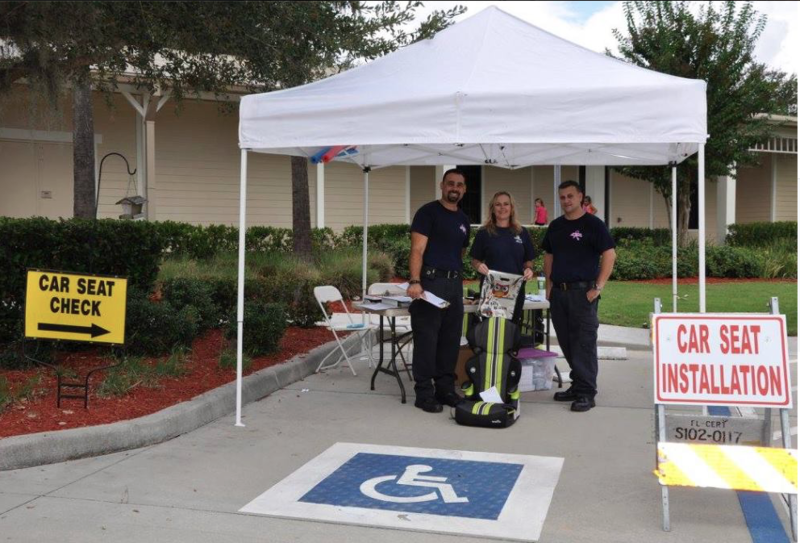 These dedicated technicians who are all fire department members offer education, support and guidance for anyone interested in protecting our most precious cargo. 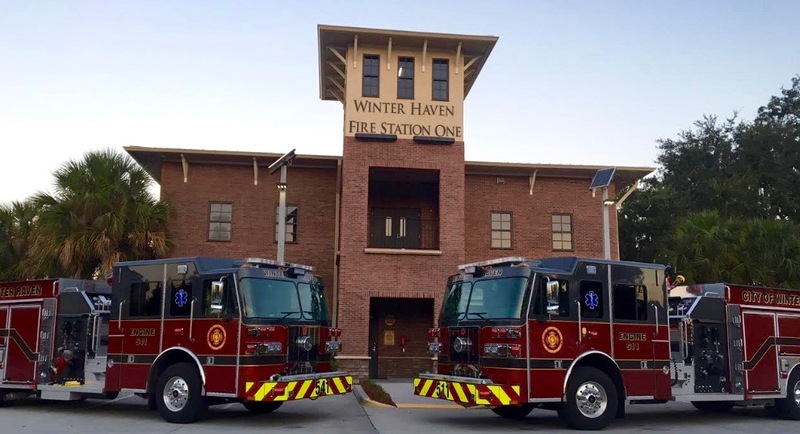 The Winter Haven Fire Department highly recommends anyone who needs assistance, has questions, or needs more information on child safety seats to contact the Winter Haven Fire Department. If you would like to make an appointment for a child seat installation or have any questions please contact Station One at 291-5665 during normal business hours. 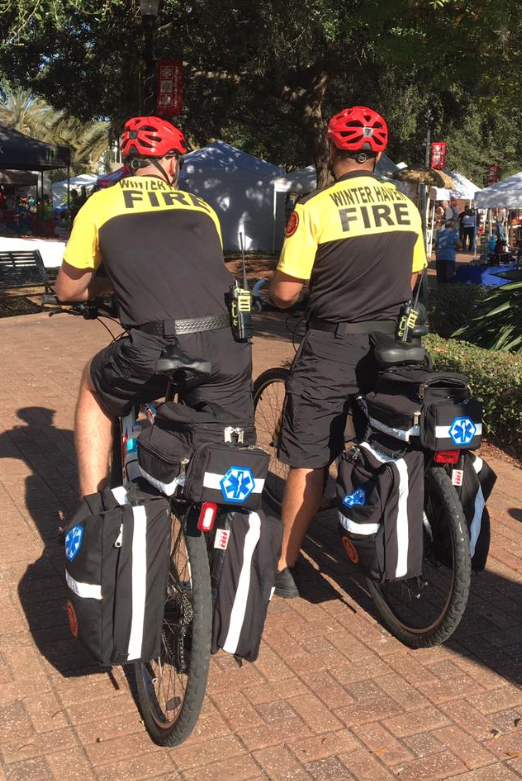 Every hour an Explorer spends at the station or sponsored event they will be earning community services hours. There hours can be used towards required high school or college service hours. 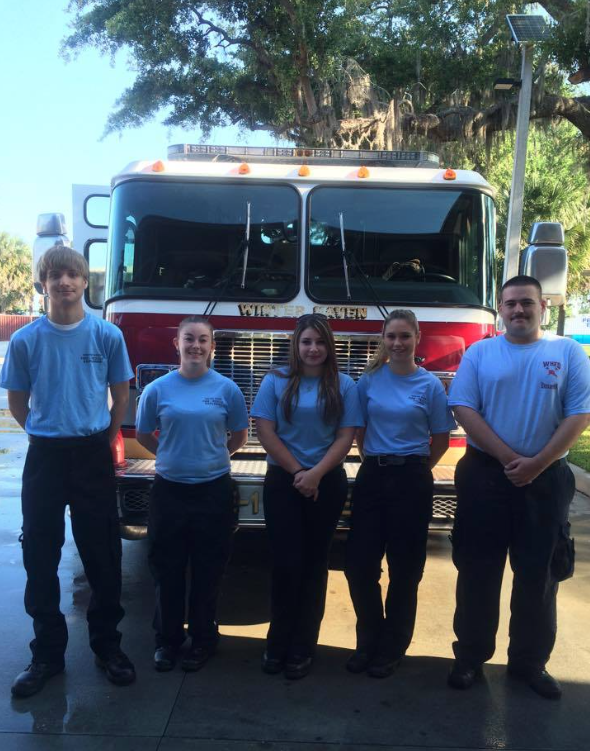 Many of our explorers have gone on to be full time firefighters for the city of Winter Haven and other fire departments in the area. 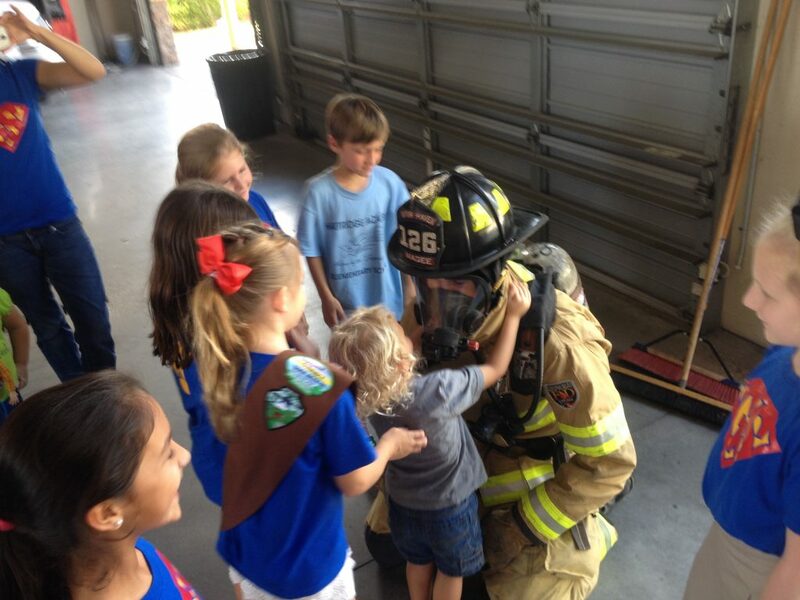 This program lets our members see exactly what firefighter do on the job. 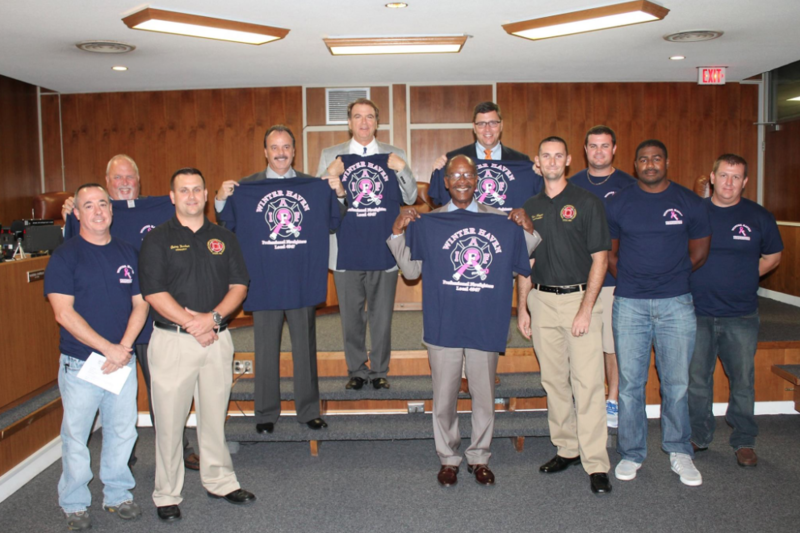 During October for the last two years the Winter Haven Professional Firefighters Local 4967 designs and sells t-shirts for the National Breast Cancer Awareness Month (NBCAM). Cancer impacts everyone. The support from the residents, businesses, community and union members has made this fundraiser a huge success. 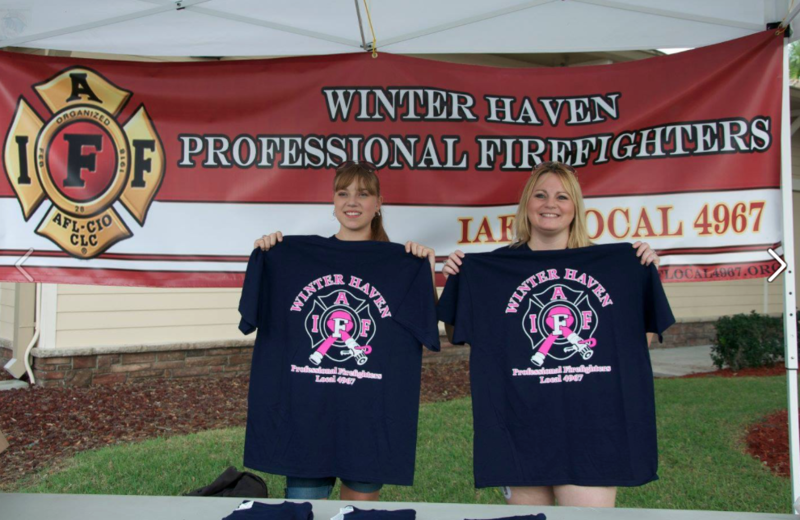 All proceeds raised goes directly to the Winter Haven Women’s Hospital Breast and Imaging Center. 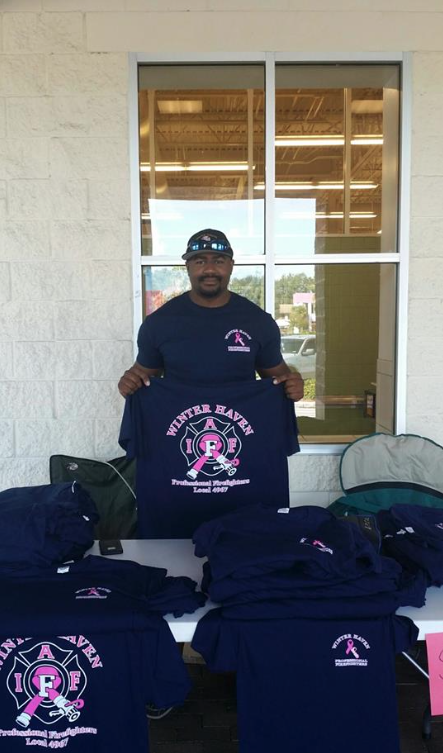 Make sure to stop by Fire Station One this October for a newly designed shirt to show off your support in fighting cancer.